There’s nothing more satisfying than a kitchen that shines from top to bottom and when we say “bottom” we mean all the way back into the corners of your cupboards. 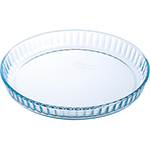 If you’re like the rest of us, your most-loved bakeware has begun to lose its shine. Hiding somewhere in the recesses of your otherwise perfectly presentable kitchen are those favourite, but not-so-sparkly-anymore Pyrex baking glassware dishes. No worries though! We can help. 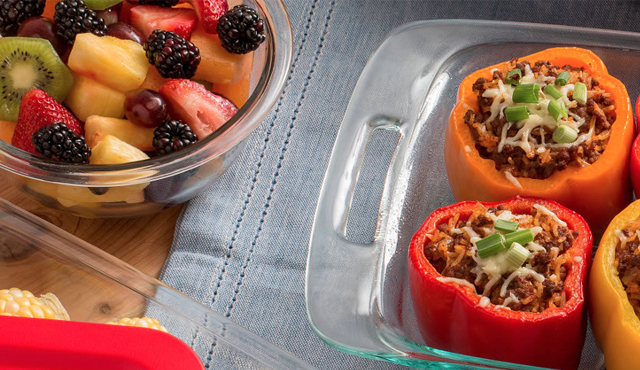 That’s right, it’s time to solve one of the most daunting dish dilemmas out there. How do you get glassware gleaming again after it’s been collecting greasy, grimy residue for ages? Before we let you in on our little secret, let’s go over some DIY glassware tidying tips worth skipping. White Vinegar – We were surprised, too! This handy helper is usually a great weapon to have in your grime-busting arsenal. Unfortunately, it just didn’t do the trick on our glass pans. Save it for one of its many other uses. Foil – A ball of aluminium foil will outscour your sponge…or so the story goes. Sadly, this is nothing more than an urban legend. 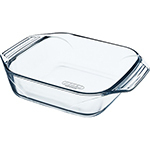 The foil flattens out, leaving you with little to no scrubbing action and a still-dingy glass pan. Simply combine the grease-cutting power of dish soap with the rough texture of bicarbonate of soda and voilà! You’ve got a stain-busting solution that’ll deep-clean even the dirtiest of pans. Apply the solution, soak and scrub. For maximum results with minimal elbow grease, use a sponge with the finest texture you can find instead of a regular sponge. 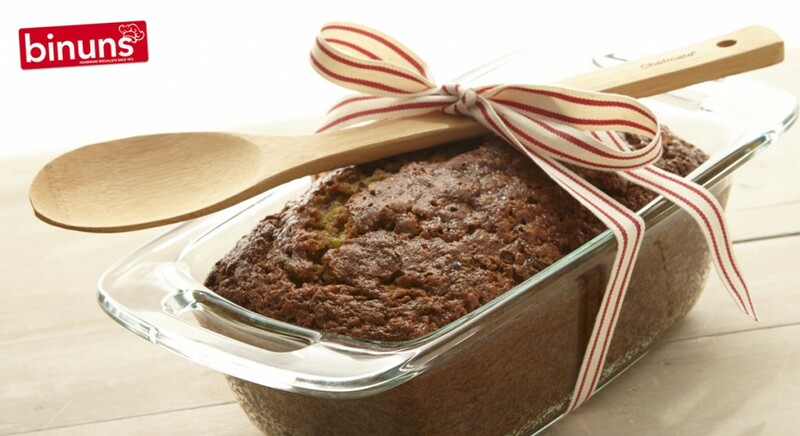 This banana bread boasts loads of good-for-you ingredients—but you’ll never know by the taste! 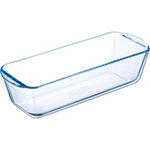 Grease 2 Pyrex 1.7 Litre Loaf Dishes Loaf Dishes in a large bowl, mix sugar, bananas, zucchini, butter, buttermilk, eggs and vanilla until well mixed. Stir in remaining ingredients. Divide batter evenly between loaf dishes. Bake 55 to 65 minutes or until toothpick inserted in centre comes out clean. Cool for 10 minutes. Loosen sides of loaves from dishes; remove from dishes and place top side up on cooling rack. Cool completely, before slicing, about 2 hours.